Comic Riffs blog has an interview up with Warren Bernard, director of Small Press Expo (SPX), on the recent table registration-online crash SNAFU that SPX went through. To recap – SPX has (d?) Bluehost as a hosting provider and during the crush of demand to register for details the site went down hard. The good news for SPX is it sold out its tables super quickly. This year SPX will be Sept. 14-15 at the (usual) Marriott Hotel and Conference Center in North Bethesda. 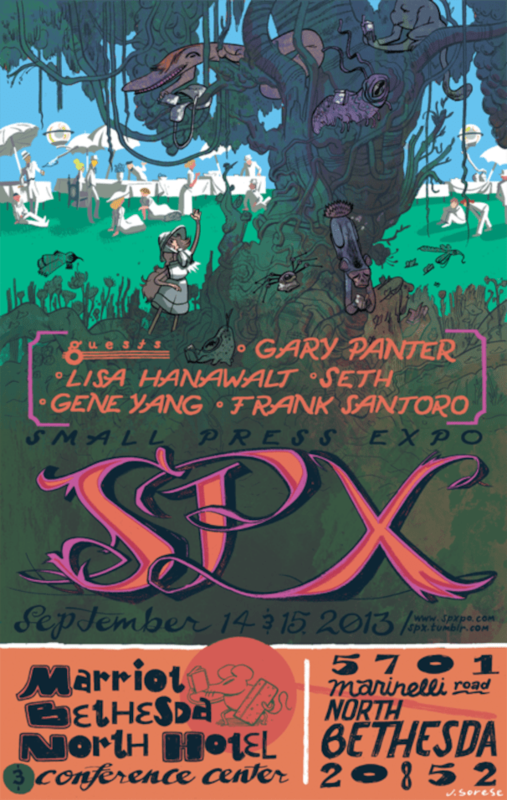 The special guests include Gary Panter, Lisa Hanawalt, Seth, Gene Yang and Frank Santoro.